Christians from all across the UK are coming together in London this month to pray for the future of the UK, which continues to face political division and uncertainty over Brexit. 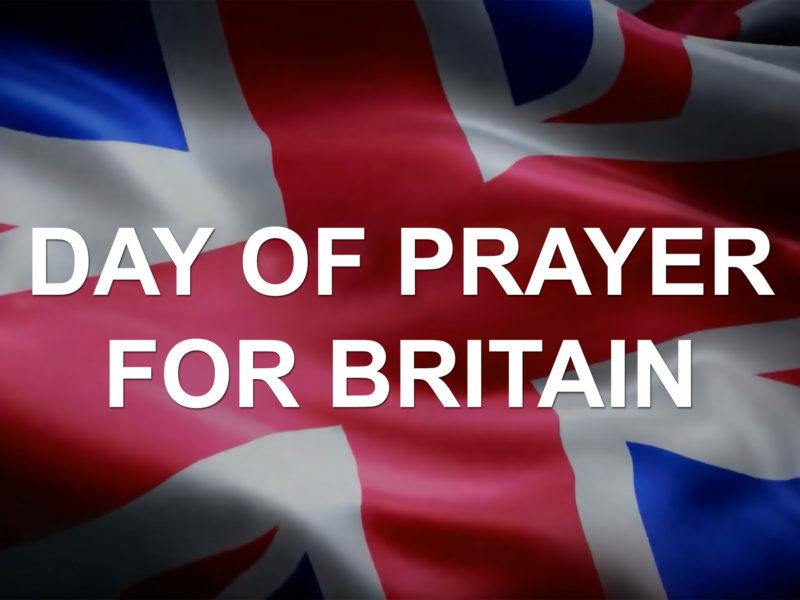 Led by David Hathaway of Eurovision ministries along with diverse church leaders in London, The Day Of Prayer For Britain will take place on Saturday 26 January 2019 at the SSE Arena, Wembley. Well known American prayer leader, Lou Engle will also attend. He is known for TheCall mass prayer gatherings that have mobilised thousands of believers worldwide. Leaders include Rev Betty King, Bishop John Francis, Pastor Nims Obunge, Rachel Hickson, Rev Yemi Adedeji, Pastor Tobi Adeboyega, Clifford Hill and Andrea Williams. James Aladiran of Prayer Storm and Apostle Elijah Chanak will also lead prayers along with other national leaders still to be announced. David Hathaway is a British Evangelist who has ministered worldwide for nearly 70 years. He has devoted his life to preaching the Gospel across Russia, Ukraine, Eastern Europe and Israel. He believes the only answer for the UK is a national call to prayer. If you live near London, consider attending in person from 10 am to 6 pm on Tickets are £14.25 each to cover the cost of the venue hire. CLICK FOR TICKETS or call 0844 815 0815. For more information about the event visit Eurovision Ministries.